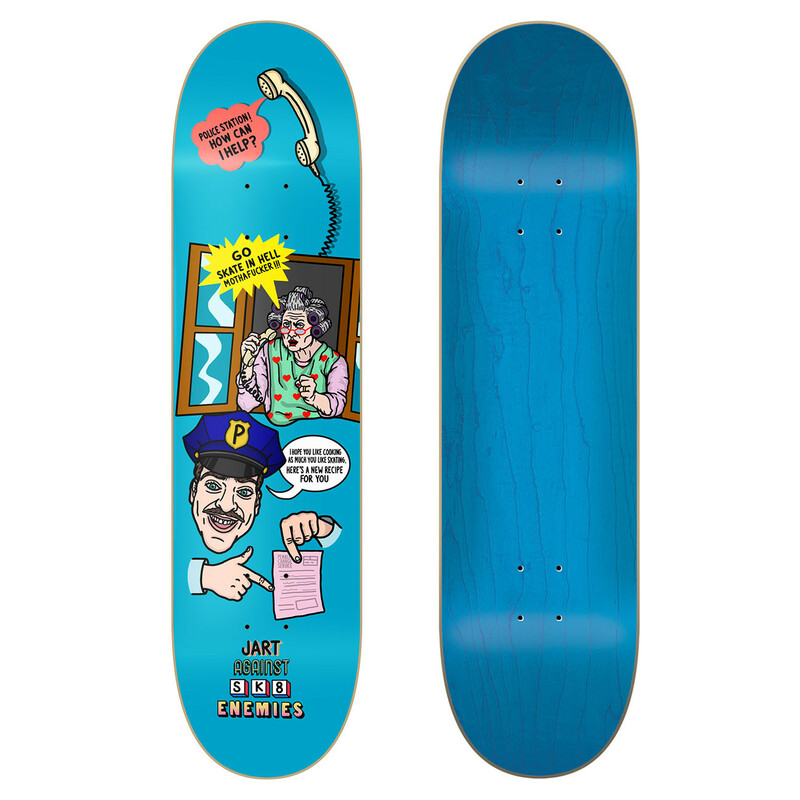 Skateboard deck Jart Against Sk8 Enemies 8.0"
Another Conflictive Fat Kid x Jart collaboration that shows exactly what kind of enemies we need to fight against. Available in a low concave specifically designed for those riders looking for a balanced deck. Main features include high pop, responsiveness to flip tricks and easy handling. Thanks to its classic design, it is ideal for switch riding. These boards are ideal for street skateboarding. When riding this concave you will feel a smooth surface where you can freely move your feet.